Giraffes are tall and Ladybugs are small. : Now. The time has come, it is Now. Now I must choose to live, in every single moment right Now. Because God, He tells me to live to the absolute full, how can I live to the full if all I think about is in the past, or the dreams of the future? I want to dream, I was choosing my One Word for 2013 and I was thinking ‘dream’ because all I wanted to do was exactly that. And so when my friend begged my One Word out of me that is what I chose, and I thought that was that. But I decided to sleep on it, I woke up, and all in a moment I realised, I realised that it was me who wanted to dream…God: He wants me to live in the Now. I was desperate to spend my year dreaming about what I could be doing, where I want to go. And you know, there is no problem with dreaming, absolutely it is one of the most amazing things! But when that becomes your focus…you lose sight of what is in front of you. It is okay to dream, it's fantastic to dream. But I must never let dreaming consume me. This is the year where I actively try to learn to live in the Now. I don’t want to really, not really. But this is what I need, I know it, and as I've started to put it into action, I have felt more and more excited by it all! Maybe I do want to...slightly. Will you make me accountable to you? Will you tell me when I forget, when I slip up, when it all goes capoot? Can you give me a nudge and push me on forwards? This is me taking this dare to live (safely) another step further. This is my daring of myself to dare to live Now. In this moment, right here. To be alive every moment of each day, to be fully in the room. This my daring of myself to let myself be in the Now. Right, Now. This is my daring myself to live fully, and wholly. You know John 10:10? 'Live life to the max.' Yeah! That's the sort of living I mean! This is my daring myself to live that little bit more, to seize the opportunities I'm given right Now. To go to bed tired, and wake up refreshed. Every. Single. Night. Ready for the Now. I'm jumping onto this train...and I'm scared its a fast one! But I'm still jumping on, because I want to notice the Now. I want to devote myself to the Now. I want to pay attention to the smallest of the Now. 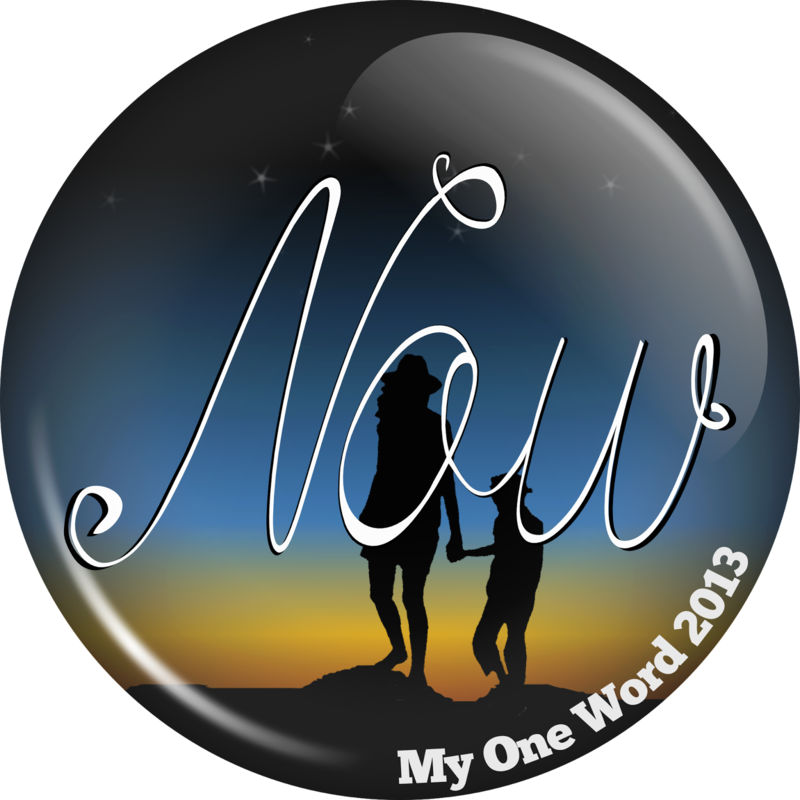 This is my One Word. 365 days...of Now-living. I am living in the Now in 2013. Excited that many friends are joining me by going on their own OneWord365 journey! Will you join me too? Find out more here.